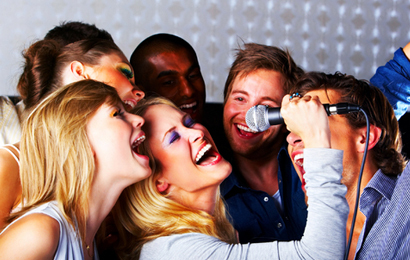 With a song library of more than 15,000 tracks, JJB Entertainment is sure to offer your guests a fun and memorable night of Karaoke! In addition to offering renowned DJ services, We take great pride in carrying a karaoke library to meet the demands of various clients. Whether your event is a private party, birthday, project graduation or wedding we are happy to bring along our karaoke library to enhance your overall experience. Our professional karaoke setup includes microphones for multiple singers, a monitor to read the words and a premium sound system. If you would like your karaoke night to stand out from the rest we are happy to provide a big screen so that guests can sing along as well. Additionally, if you want to promote a dancing environment, we would be happy to bring along a full light show to your event as well.